Includes the names: Ambrose Bierce, Ambrose Bierre, Ambroce Bierce, Ambrose Bierce, Ambrose G. Bierce, ed. Ambrose Bierce, Амброз Бирс, Ambrose Gwinett Bierce, and ed. 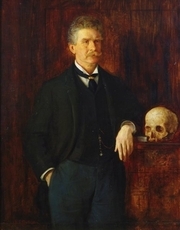 BIERCE Ambrose, Ambrose Gwinnett Bierce ... (see complete list), David E. (EDT)/ Joshi Ambrose/ Schultz Bierce, S.
Ambrose Bierce's book Enter At Your Own Risk: Old Masters, New Voices was available from LibraryThing Early Reviewers. Ambrose Bierce's book Ambrose Bierce's Write It Right was available from LibraryThing Early Reviewers. Ambrose Bierce is currently considered a "single author." If one or more works are by a distinct, homonymous authors, go ahead and split the author. Ambrose Bierce is composed of 12 names. You can examine and separate out names.